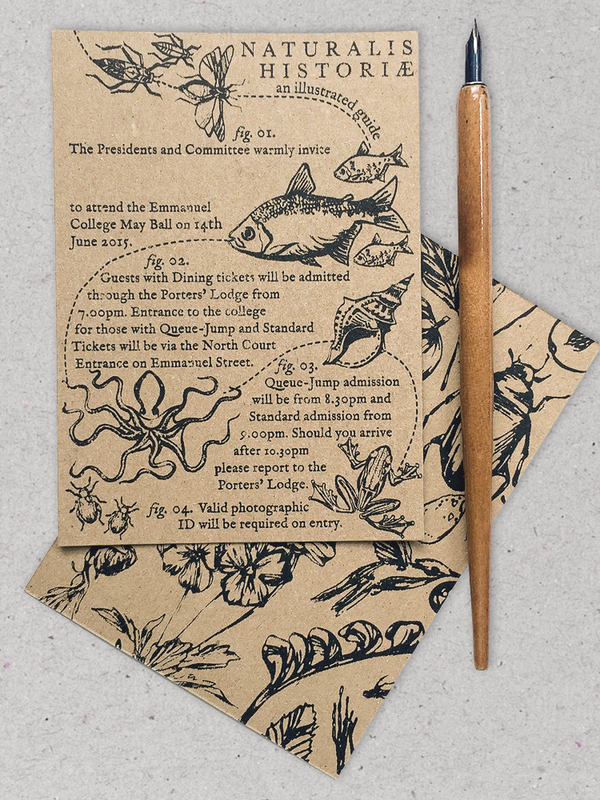 A Darwin sketchbook inspired set of screen printed tickets for Emmanuel College Cambridge’s May Ball event. The design featured hand drawn botanical and anatomically inspired illustrations paired with a classic scripted font. 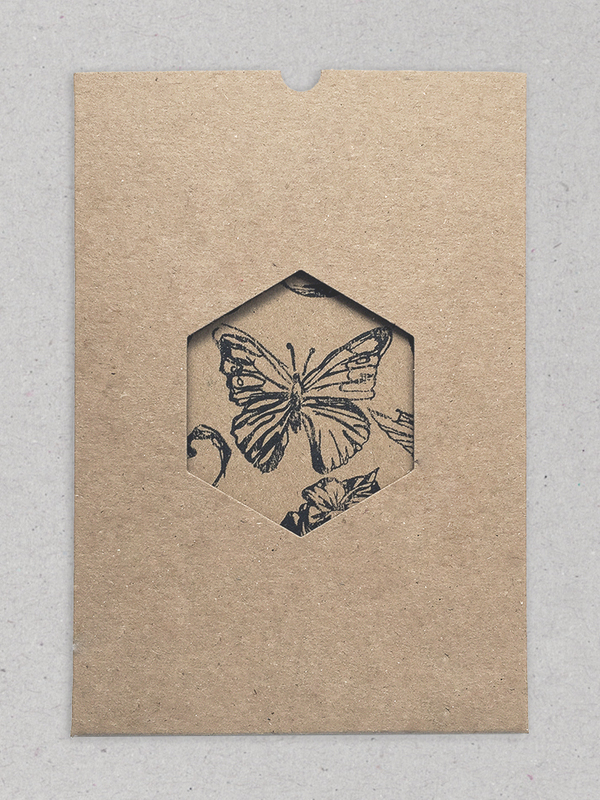 The designs were screen printed on to 350gsm brown card and housed in a bespoke hexagon pocket envelope.